We've been told for decades that noone can defeat the Power Rangers. 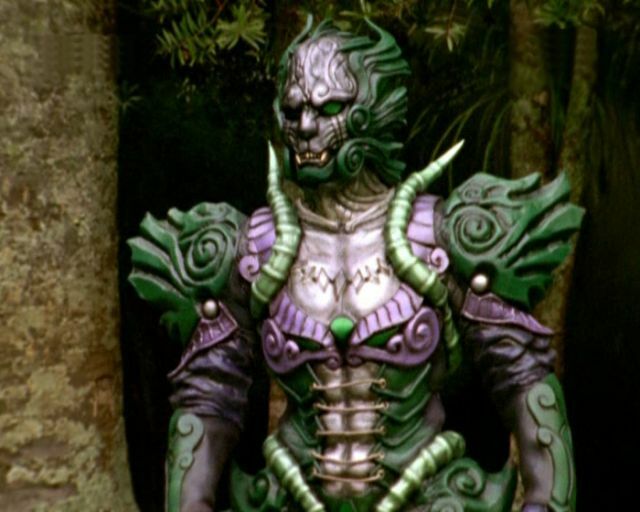 The sad fact is that there have been times where villains have beaten the Rangers (until another battle) and times where villains actually managed to take the life of a Power Ranger or more than one. The purpose of this discussion is to make it clear which villains have actually succeeded in destroying a Power Ranger personally or caused the demise of a Ranger. If I am missing any cases, be sure to let me know so that I can add it to this list. Psycho Pink took possession of the Savage Sword, a sword stronger than the five Quasar Sabers. She then plunged it into the Pink Space Ranger's morpher and drained the energy into herself, in the process, created a destructive pink storm cloud that was spreading through space. Though Psycho Pink was destroyed, the sword kept going. Kendrix, the Pink Lost Galaxy Ranger 1, went into the eye of the storm and destroyed the sword. The sword's explosion vaporized Kendrix. Kendrix was revived at the end of the season. Olympius and his monster, Mantevil began attacking. Lightspeed Rangers Blue (Chad), Green (Joel), Yellow (Kelsey), and Pink (Dana) battled them at the scene while Red Lightspeed Rescue Ranger (Carter) was out testing the Mobile Armored Vehicle. Olympius and Mantevil was clearly too strong, so the four Rangers called on the Rescuebird weapon. Unfortunately, Olympius got the Rescuebird, pointed it at them and blasted them. The blast killed the four Rangers. The Rangers' death was erased from the timeline when Carter went back in time and saved the Rangers the second time. 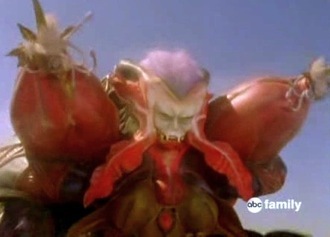 Devastation and his brother, Shorty, were sent by Emperor Gruumm to destroy the Power Rangers. According to a transmission from the future (date: ) stating that SPD and the SPD Rangers would be destroyed and the Troobians would conquer Earth. The fall of SPD and the SPD Rangers was erased due to Omega Ranger arriving from the future and saving the Power Rangers. During the Master's final fight to conquer the world, he encountered Solaris Knight and the Wolf Warrior in the realm of the Mystic Mother (post-destruction). They fought hard, but the Master absorbed their good magic and became stronger. He attempted to destroy the two Rangers, but only managed to kill Solaris Knight due to Solaris Knight pushing the Wolf Warrior. The Wolf Warrior, now in Ancient Mystic Mode, attempted to slay the Master alone, but was killed too. Solaris Knight and Wolf Warrior were both revived before the final battle and remain alive. The Venjix Virus launches his final assault on Corinth to finish conquering the Earth. After the Rangers finish his attack bot. 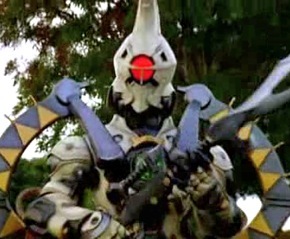 Venjix proceeds to attack the Rangers. 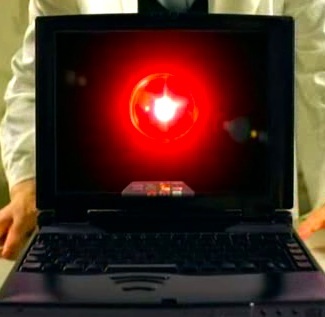 He knocks an attacking Red RPM Ranger (Scott) out of his way before using his newest attack to attempt to destroy the Power Rangers by "deleting" them. After deleting the Paleomax Megazord, he aims at the High Octane Megazord (piloted by RPM Rangers Blue (Flynn) and Yellow (Summer). RPM Rangers Gold (Gem) and Silver (Gemma) save them by pushing the High Octane Megazord out of the way of the beam using their Mach Megazord, but get hit in the process. This results in the Gold and Silver Rangers being deleted. Dr. K brings them back later on in time to finish off Venjix and end the long war. They reveal that "that's the Bio-Field for you. Can't create it, can't destory it", which most likely means that they were never really destroyed, just in a different plane of existence. 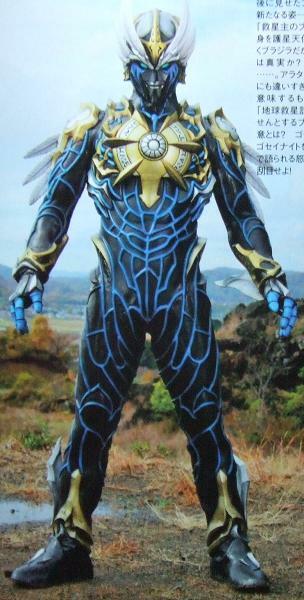 After more than a year of hiding, Vrak cam back to prove that he was worthy of leading the Armada and ruling a planet. He captured Robo Knight and the Silver Megaforce Ranger (Orion) as part of his plan. He drained Silver Ranger's life force to use as a power source for himself and his three drills and to reprogram Robo Knight to evil. Robo Knight was soon released from his evil reprogramming due to a powerful punch from the Red Megaforce Ranger (Troy). Robo Knight went to rescue the Silver Ranger despite being really injured. At this point, Silver Ranger was low on life force. Vrak out-fought and out-smarted Robo Knight and set his own underwater lab to blow up. Robo Knight gave Orion some of his own life energy and got him out before the lab exploded. Unfortunately, the explosion destroyed Robo Knight. Robo Knight was later re-built and brought back for the final battle... the Legendary Battle. Master Org revives General Nayzor as Super Nayzor. Nayzor proves to be too powerful and manages to take down Wild Force Rangers Blue (Max), Black (Danny), Yellow (Taylor), and White (Alyssa). The four injure Rangers find themselves in some other dimension. This is most likely a near-death experience for the four Rangers. The Stone of Judgement selected Oculus to destroy the Mystic Force Power Rangers. He challenged Mystic Force Rangers Red (Nick/Bowen), Green (Xander), Yellow (Chip), Blue (Madison), and Pink (Vida) to a hunting game. 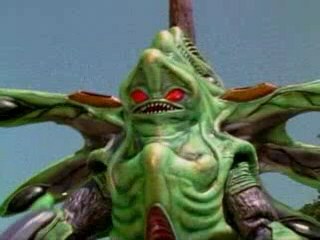 Oculus would disintegrate the Power Rangers one at a time. If he didn't have them all by sundown, the Rangers would win. 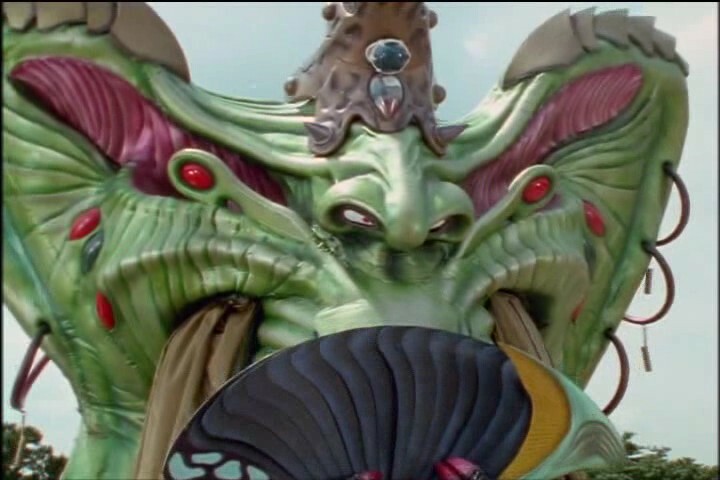 Oculus managed to disintegrate Green, Pink, Blue, and Yellow, before being destroyed by the Red Ranger. The four Rangers were restored. Operation Overdrive Rangers Pink (Rose) and Mercury (Tyzonn) were trying to disable a forcefield created by the Fearcats. One of the Fearcats, Mig, found them and attacked them to keep them from disabling the forcefield, while Benglo was searching for the Centurion Torch. Tyzonn kept Mig busy while Rose went to disable the forcefield. Rose succeeded, but Mig took the opportunity to blast Tyzonn while he was unmorphed. This seriously injured Tyzonn. It is unclear how severe the damage was, but it was enough to knock Tyzonn unconscious. Tyzonn was healed by Norg, whom Tyzonn had helped earlier.